A gripping true story of humanity and heroism, HOTEL MUMBAI vividly recounts the 2008 siege of the famed Taj Hotel by a group of terrorists in Mumbai, India. Among the dedicated hotel staff is the renowned chef Hemant Oberoi and a waiter (Dev Patel, Slumdog Millionaire) who choose to risk their lives to protect their guests. As the world watches on, a desperate couple (Armie Hammer and Nazanin Boniadi) is forced to make unthinkable sacrifices to protect their newborn child. 12:55, 3:50, 6:40 & 9:40 p.m.
What's Playing at the Mill? 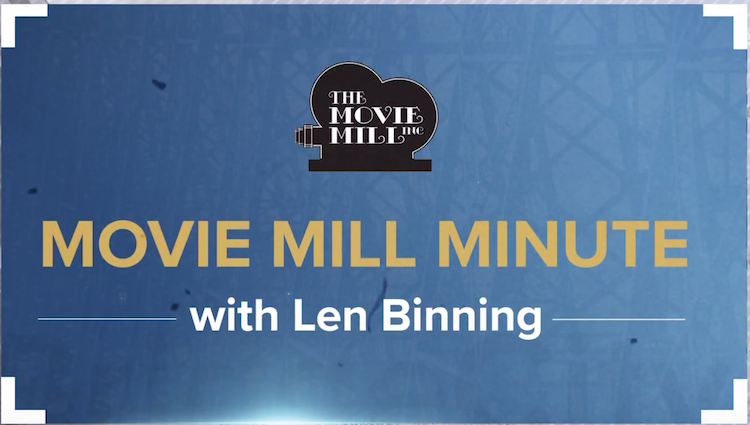 Watch Len's personal recommendations of great films to experience this week! Check out the Movie Mill website to see this weeks movie times.